With many Technology coming every day and breaking news this technology has made news for last 5 years and has been the centre of attraction for many tech experts then and now. What is so great about this technological piece that it is able to grow more and more and still opens wide opportunity for new generation to explore. 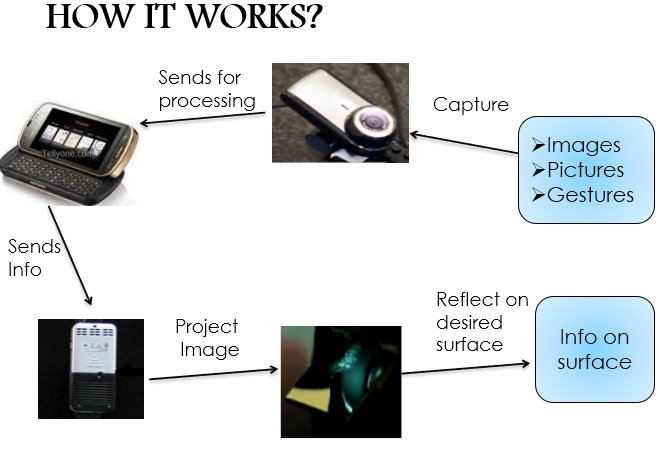 The Sixth Sense technology is very much suitable name for the technology developed by Pranav Mistry, a PhD student in the Fluid Interfaces Group at the MIT Media Lab. The idea of this Technology dated way back but was finally put into shape by this young Indian Mind. Not only Google but apple and many other technical giants are running hard to hire this Indian for their design of future gadgets. 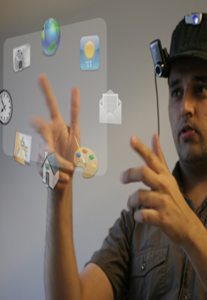 The Sixth Sense Technology augments the physical world around us with digital information and lets us use natural hand gestures to interact with that information. You can understand it with in simple language as the way of using the digital information in the real world like using the internet browser on any flat surface or taking pictures by just your fingers in the shape of frame and similarly much more. Let’s check out this Technology from various aspects. What is Sixth Sense Technology? ‘Sixth Sense’ is a wearable gestural interface that augments the physical world around us with digital information and lets us use natural hand gestures to interact with that information. 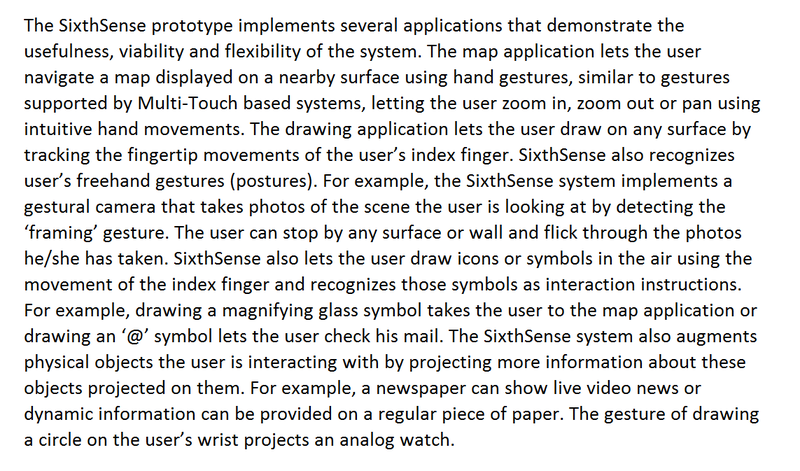 Sixth Sense bridges the gap by bringing intangible, digital information out into the tangible world, and allowing us to interact with this information via natural hand. 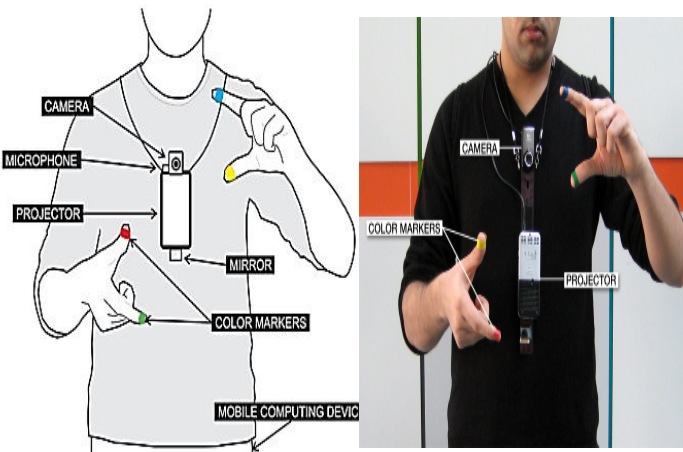 The hardware components are coupled in a pendant like mobile wearable device. The project itself contains a battery inside, with 3 hours of battery life. A tiny LED projector displays data sent from the smart phone on any surface in view–object, wall, or person. It is at the tip of the user’s fingers . The movements and arrangements of these makers are interpreted into gestures that act as interaction instructions for the projected application interfaces. This technology enables the user to call without using the dialer. 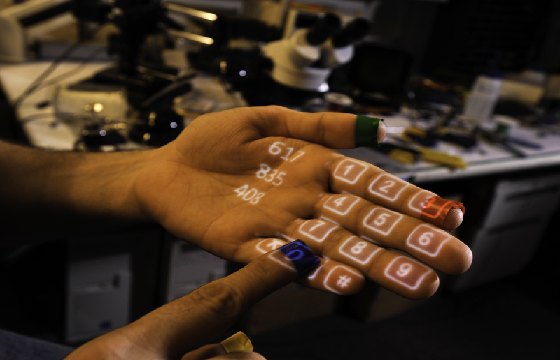 The dialer will be projected on palm and the user can dial the number using other hand. Check out the ratings of the Book you are going to buy, it checks the ratings from the internet. And another amazing thing is that it reads the book for you. Just place the ticket in front of the projector and it checks its status from the internet. The user just needs to make gesture of clock and the watch will be projected on the user’s hand. If you fashion your index fingers and thumbs into a square (“framing” gesture), the system will snap a photo. After taking the desired number of photos, we can project them onto a surface, and use gestures to sort through the photos, and organize and resize them. The user can draw anything on paint with the help of his fingers. This drawing can be 3D also. Hence, no need to use mouse. The users can browse internet on any surface even on their palm. Now no more need to carry heavy laptops and palmtops to have bigger screens internet. You can actually project the Internet on any clear surface and enjoy browsing. Like the video newspapers of Harry Potter this technology identifies the news headline and then projects the relevant video. Imagine a video running over your daily newspaper and you are able to see everything without making any efforts. Seems like some of the sci-fi movies are going to be no more sci-fi. Drawing a magnifying glass symbol takes the user to the map application while an ‘@’ symbol lets the user check his mail. Why this Technology is the focus of many tech companies can be understood from advantages it has for us. The device can be made in current prototype system costs approximately $350 to build. In Indian currency Rs.17000. But still the device is not available in the market because of the only reason of high internet speed on wireless devices not yet available everywhere and the second reason being the miniature model to be developed for this prototype. All the image credits are to the pranav mistry and team. 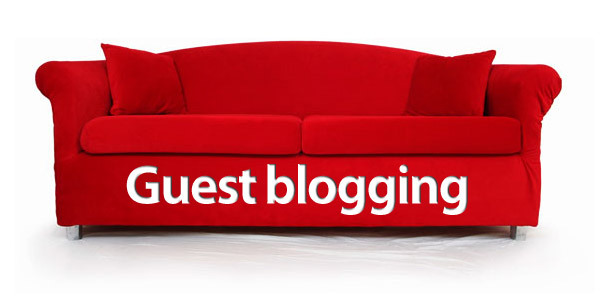 Please tell us how you liked the article and what is your opinion about this technology. Would you wish to have one such technology in your pocket in the future? Can these Wearable Gadgets make Samsung Technology Giant? Your post give me much information on it. Very nice keep it up. we are happy that the post helped you in your research.